The 1967 Chevrolet Chevelle was the windup of the first generation of this American classic. It came with a facelift compared to 1966 and, just like before, numerous body styles were available as well as a wide palette of trim levels to appeal to every GM buyer. This one, a 2-door SS, was the boldest of all Chevelles. 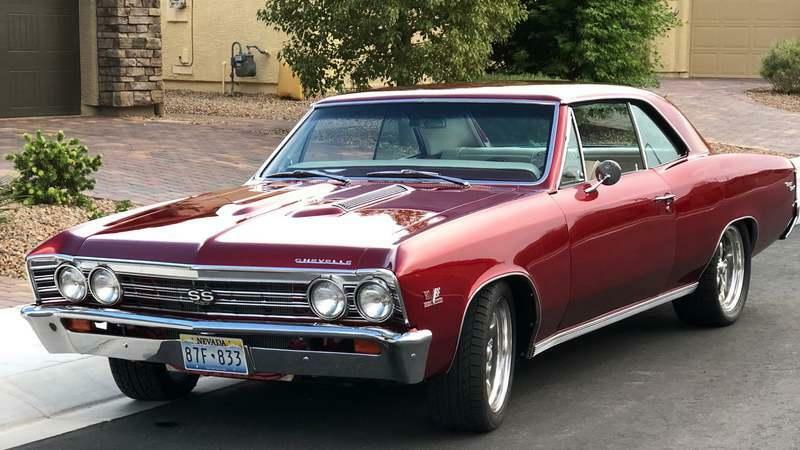 It was back in 1964 that Chevrolet introduced the Chevelle as a mid-size as a direct response to Ford’s Fairlane and AMC’s Classic models that were at the top of their game in the intermediate class. The production-ready Chevelle wasn’t conceived as a unibody model. Instead, GM decided to put the only new American car of 1964 on the A-body platform which was quite a novelty at the time. 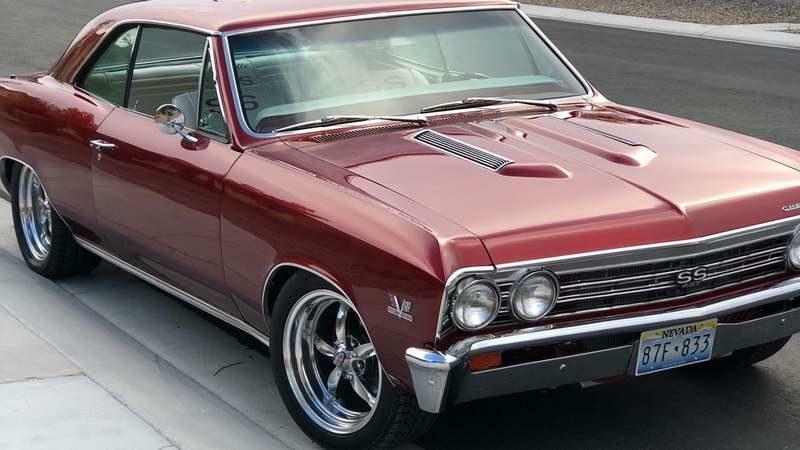 By 1967, the Chevelle was reaching the end of the first generation’s production run and, before a new car was introduced for 1968, the restyled first-generation model soldiered on and, by now, the Super Sport (SS) model was standalone. Meanwhile, the Malibu remained the top trim level option for the Chevelle and actually went on to replace the Chevelle nameplate altogether 11 years later. Video of the Day: Wrecks to Riches - "The Green Car"
When the Chevelle was introduced, back in 1964, it was a way for GM’s Chevrolet to announce that they’re aware of American Motors’ runaway success with their mid-size cars like the American and that they were going to put an end to this popularity by introducing a car that would chip into AMC’s market share. The original styling was strikingly similar to the up-market Impala as Chevrolet was trying to pull together a unitary brand image at the time. Two years later, in 1966, the Chevelle was redesigned externally from top to bottom. It received new sheet metal in almost all areas which made it look like a new car. The fenders were now more rounded and extended beyond the edge of the car’s center panel at both ends, giving it that refined ’Coke bottle’ line that was extremely popular at the time - so popular that every American manufacturer had to have a car looking like that back in the ’60s. Individuality, be gone! Originally, Chevrolet first picked up on the muscle car phenomenon with a souped-up Chevelle so, obviously, the SS model was retained although 1967 was the year when the Camaro arrived in style. Chevrolet’s pony car was actually cheaper - in base trim - than the Chevelle SS and a Camaro SS set you back about $3,000 which was about as much as convertible Chevelle SS. That’s why the Camaro grew a fanbase so quickly and the Chevelle almost faded into obscurity. As mentioned, the styling of the first-generation Chevelle became bolder and bolder as it neared the end of its production cycle. Up front, the ’67 Chevelle has a full-size, chrome-framed, grille that goes all the way across the width of the front fascia and follows the inner face of the protruding front fenders. The quad round headlights are fitted to the grille that features two horizontal bars. In the middle of the front panel, the SS badge is attached to the bars. Below it, there is the number ’427’ that signals out to everyone that this particular example comes with a 7.0-liter crate engine. The car’s hood swoops down, opening up with a part of the chrome trim up front. The hood has one narrow crease down the middle that acts as a division line. On either side of the crease, there’s a bump with a rectangular air inlet on the side, fitted with six bars. 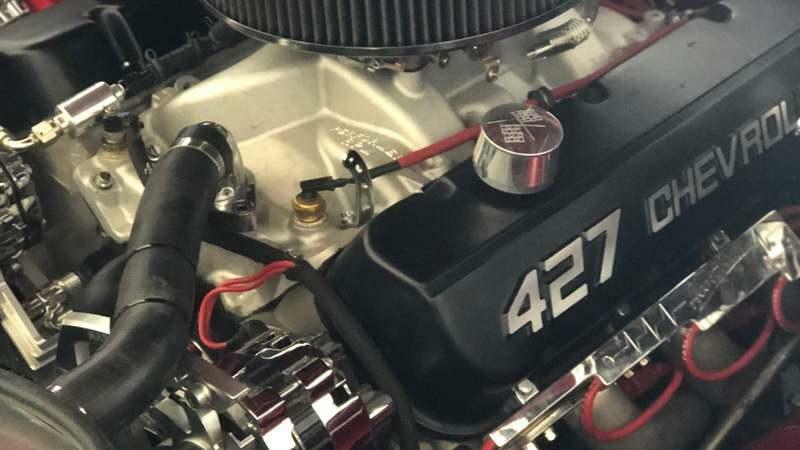 Originally, these air inlets were fake, but some owners made them purposeful when they decided more air was needed for big-block crate engines such as the mighty 427. The bumper splits open at the front to make way for more air to go into the engine bay. The indicators are placed within these openings. The windshield is slightly curved, its chromed frame meeting in the two top corners with the styling bar that flows around the top edge of the hardtop and then around the lower edge of the side windows. On the side, just before the front wheel well, there’s a V logo which was present on a multitude of Chevrolet models with V-8 engines at the time. This car comes fitted with only one outside rear-view mirror. Also, the previous owner of this cherry red Chevelle chose to ditch the standard Rally-style hubcaps and go for aftermarket five-spoke chromed rims wrapped in sizeable grippy road tires. At the back, the tunneled roofline is more evident than ever. The rear window basically sits nestled between the two C-pillars which extend beyond the line of the somewhat curved window. On the rear quarter panel, next to the wraparound taillights, there are Super Sport badges that inform yet again unassuming passersby that this isn't just any Chevelle. The straight-cut taillights, which are placed around the pointy end of the rear fenders. are divided by two bars each. In between the taillights, there’s a thick black line that covers the entirety of the rear center panel. Again, the SS logo sticks out from the middle. A rounded bumper with incorporated backup lights completes the tail end. The Chevelle was available as a 4-door sedan, a 4-door hardtop sedan (known as a sport sedan), a 4-door station wagon, a 2-door hardtop coupe, and a 2-door cabriolet. 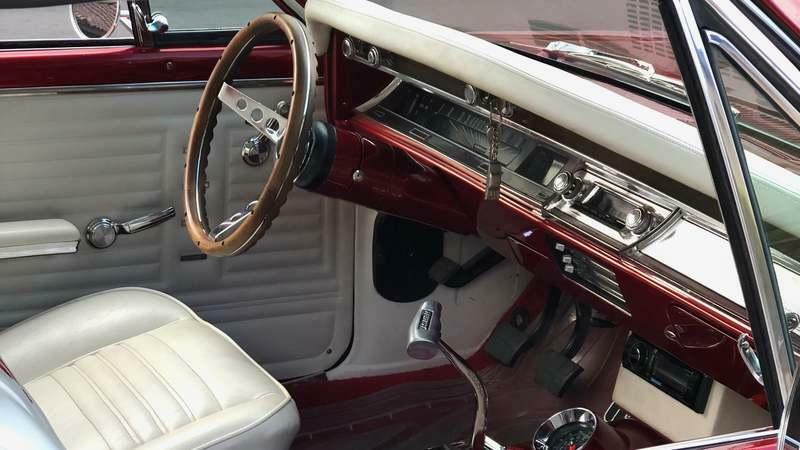 But the number of doors and the body style didn't change the fact that the Chevelle was a roomy car inside since all models shared the 115-inch wheelbase. Only in 1968 did Chevrolet shorten the wheelbase on the 2-door hardtop to 112 inches. This example comes with a heavily modified interior. 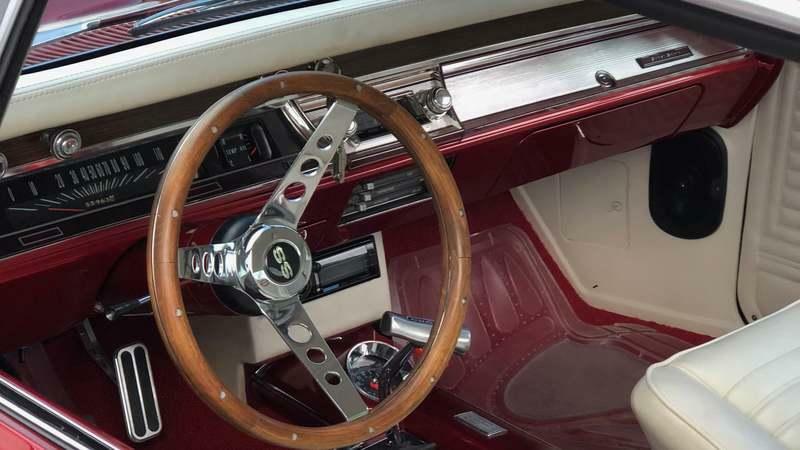 First and foremost, the original 3-spoke steering wheel was replaced by a smaller, drilled, SS one with a wooden. The steering wheel sits in front of the rectangular odometer, something that was quite common back in the ’50s and ’60s. Basically, the needle almost moves along in a straight line to display your speed. The center panel which includes the odometer and a few other gauges is recessed forming a widened V as the top and bottom edges obtrude forward. On the top part of the dash, there are a few knobs including the place for the ignition key which doesn’t go in the side of the steering column as one would expect. The top of the dashboard itself is covered in white leather as are the SS-branded bucket seats up front and the rear bench seat. The ventilation controls are positioned in the sloping lower area of the dash in the center, below the original radio unit. The modern MP3 player is placed even lower, on the leather-wrapped center column, somewhat obscured by the sizeable shifter. The top and bottom parts of the dash, as well as the transmission tunnel, are colored in red like the exterior of this Chevelle. A similar treatment can be seen on the upper part of the door panels. Even the carpeting inside is red. Part of the transmission tunnel there’s also an aftermarket gauge which should be the tachometer judging by its size and by the fact that the Chevelle didn’t come from the factory fitted with one - it was an optional extra along with other things like cruise control or a tissue dispenser! 1960’s brochures advertising the Chevelle stated that "what you’ll see inside will probably bring on a severe compulsion to go driving." This must be the case to this day, especially considering that this car received some modern enhancements that will make it that teeny bit more user-friendly. A number of V-8s were available on the Chevelle in 1967. You could choose between the small-block 4.6-liter V-8, the 5.4-liter V-8, and the 6.5-liter big block unit. The inline-6 engines - with capacity ranging between 3.2-liters and 4.1-liters - were still available for the Canadian Chevelle. 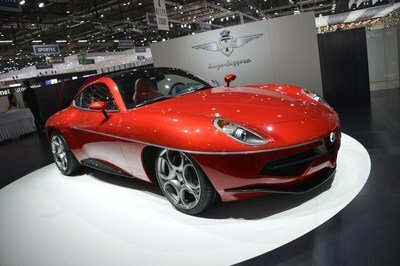 Meanwhile, the smallest of the V-8s was still tasty enough with an output of 220 horsepower. The 5.4-liter OHV unit upped the ante further with 325 horsepower and 355 pound-feet of torque. It was fed by a single double-barrel carburetor. Then there was the SS396 with its 6.5-liter V-8. In standard trim, this engine was just as powerful as the double-barrel 5.4-liter one (there was also a quad-barrel version with only 275 horsepower on tap due to lower compression ratio). 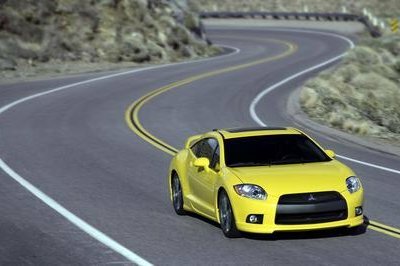 With the L34 option, power went up to 350 horsepower - down by 10 horsepower compared to 1966. The L78 option was, officially, no longer available but some dealers were ready to help you if you wanted the meanest 6.5-liter version of them all if you had $475 to spare. The equivalent of less than $3,600 today got you 375 horsepower and 415 pound-feet of torque. 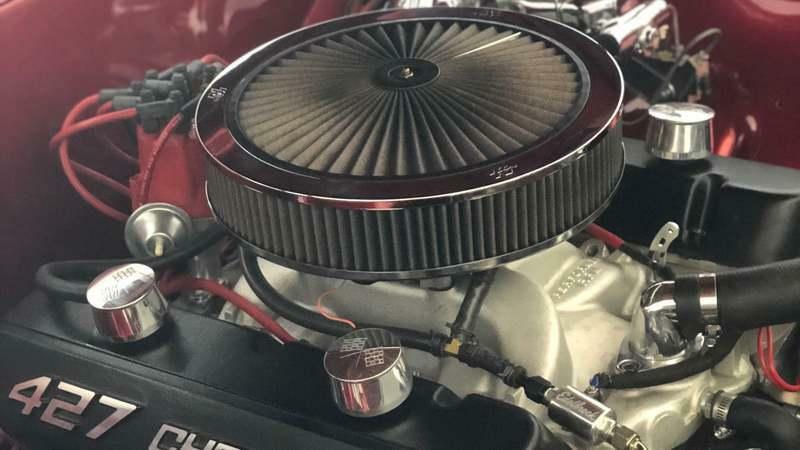 Happily, nowadays, you can have even more power under the hood of the Chevelle as this example demonstrates. 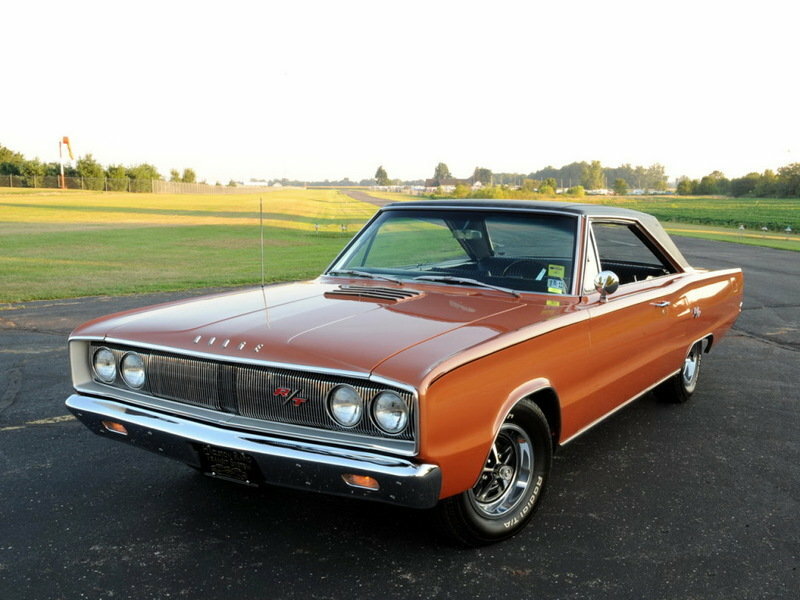 The previous owner of the car dropped in front of the passenger’s compartment a hefty 7.0-liter engine - the classic 427. However, this is a more powerful version than the ZZ427/480 as it puts out 541 horsepower at about 6,000 rpm instead of the usual 480 ponies. That means that torque is also up from the original 490 pound-feet at 3,800 rpm advertised on Chevrolet’s website. In short, this things eats tires like a kid would eat pancakes on a Saturday morning. All that power gets to the back wheels through a 4-speed manual Muncie transmission. Back then, some seven gearbox options were available: two three-speeds, two four-speed, one three-speed manual with overdrive, and two automatics. The three-speed automatic, known as the Hydra-Matic transmission, now had a manual shifting function. The suspension was independent up front with a solid axle at the rear. On the SS, Chevy fitted higher-rate springs, recalibrated shocks, and thicker front stabilizer bar. This car has a rebuilt front end with tubular control arms. Disc brakes were an option only for the front axle but this car has discs on all four corners. It also has a stainless steel Flowmaster exhaust system and a Ron Davis dual fan and radiator setup. 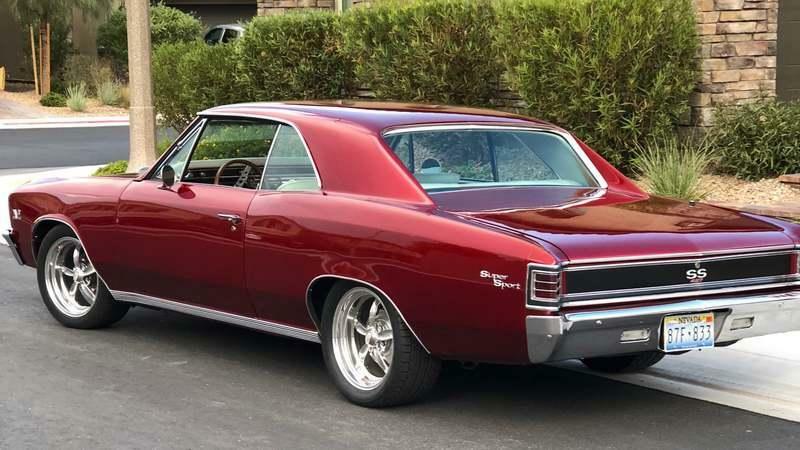 The price for a Chevelle SS back in 1967 was set at $20,300 in today’s money for a 2-door hardtop coupe while a 2-door soft top convertible had an MSRP of about $21,750 if you are to calculate for inflation. With 62,000 units shipped in 1967, the Chevelle SS isn’t rare in itself, but it might get expensive if what you’re looking for is an all-original SS396 with the L78 option - only 612 cars came with it 51 years ago. 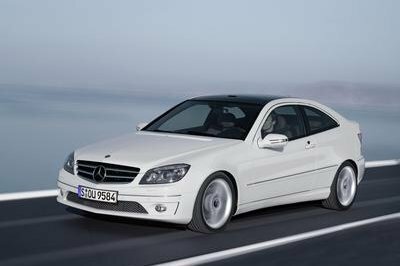 You can get a 4-door sedan for anywhere between $15,000 and $30,000, but a 2-door coupe will extract from your bank account as much as $55,000 to $60,000. A modified SS such as this one has a value of about $45,000 - 50,000 which isn’t particularly expensive considering that an off-the-shelf 427 engine costs over $10,000. 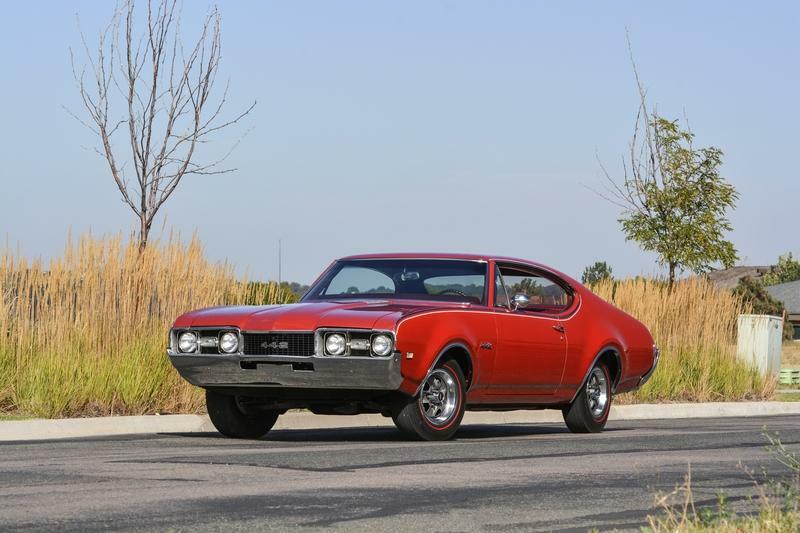 The 1967 Oldsmobile 442, or 4-4-2 as it was labeled, featured a 6.5-liter V-8 which pushed out 350 horsepower but lacked the styling to match its performance figures. That year, the 442 was based on the top-of-the-line Cutlass Supreme. 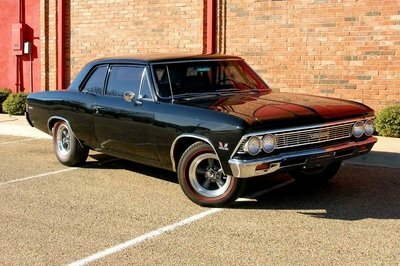 Due to the less rounded shape, the 442 appears less svelte than the Chevelle although it has the 115-inch-long wheelbase. In fact, the styling of the 442 is much more tame, looking more like a full-size model than a more compact car destined for a younger audience. Oldsmobile ad people tried to argue that it benefitted from "cool, good looks" but it wasn’t quite the case. What was true, though, was that the original 442 was a good enough muscle car to match the GTO and the Chevelle. The base engine mounted on the 442 at the time was the 6.5-liter V-8. It came with either a single twin-barrel carburetor or a four-barrel Rochester Quadrajet one. THat’s because GM banned multi-carburetor engines in any production models aside from the Corvette in 1967. When optioned with the W-30 performance package, the 442 put out as much oomph as an SS396 with the L34 option. The power hit the asphalt via a 3-speed automatic transmission on most cars, although 3-speed and 4-speed Muncie manuals were available. 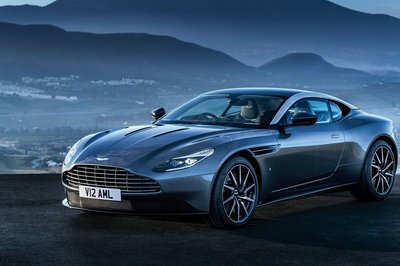 Car & Driver praised the 442 saying it was the "best-handling car of its type we’ve ever tested." It was, however, slightly more expensive than a Chevelle with an MSRP of $24,000 in current U.S. currency. Right now, you can find one of the 24,833 cars built with prices varying from about $30,000 to over $50,000, if we’re talking about one of the rare convertibles. The Tempest-derived GTO is the daddy of the muscle cars as we know them. It hit showrooms in late 1963 and swiftly ignored GM’s policy that was limiting A-body intermediate models to a maximum engine capacity of 5.4-liters. As such, the GTO came with the 6.4-liter V-8 engine. The classic double-stacked headlights were introduced in 1965 and stuck on until the end of the first generation’s lifespan. Power ranged between 335 horsepower and 360 horsepower by 1965 and kept growing. However, just like with other GM cars, multi-carbureted options were gone in 1967. They were replaced by a single four-barrel Rochester carburetor while the displacement of the V-8 grew from 6.4-liters to 6.6-liters due to a bigger bore. Three specifications of this engine were available: Economical, Standard and High-Output. The first one was good enough for 265 horsepower while in standard guise power grew to 335 horsepower. Finally, the High-Output unit had 360 horsepower at 5,100 rpm and a maximum torque of 438 pound-feet at 3,600 rpm. 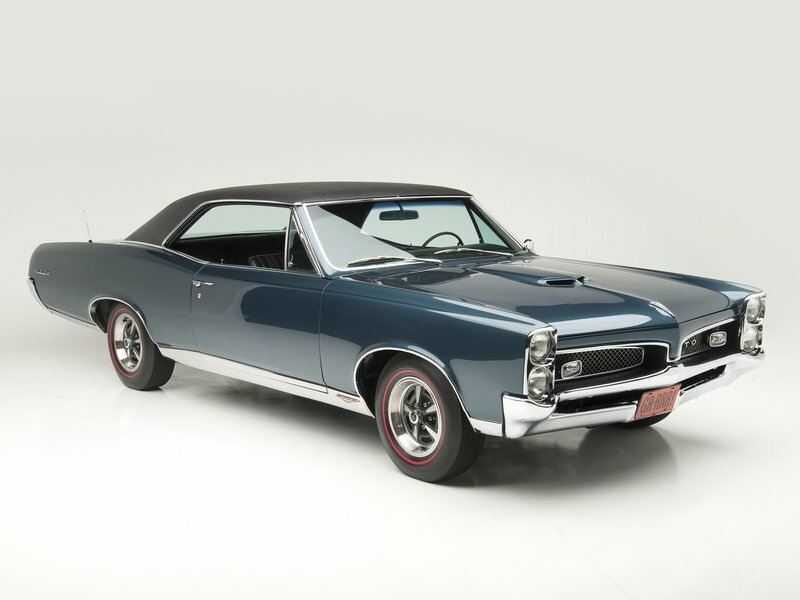 The GTO was one of the most successful muscle cars of its era, selling over 80,000 units in 1967 alone. That’s why finding one isn’t particularly dreary and prices range anywhere between $20,000 and $60,000 depending on the options, the engine, the transmission and the overall state of the car. The Chevelle is another early muscle car that can easily play the role of the sleeper. Given GM’s desire to makes its cars look somewhat identical, you can’t immediately tell what kind of beast lies within each Chevelle. This one, for instance, shouts it loud and clear: it’s red, it has big 17 or 18-inch wheels, thick tires, a white interior and SS badging. With that being said, you can have a high-performance Chevelle without all that flash, just the kind of car that would leave people dumbfounded at a drag strip. With production numbers quite high, although not as high as those of the GTO, you don’t have to worry about finding a restoration project for you - if you want to make your own special Chevelle - or a highly-original example. All you have to do is look hard enough to find the car’s that’s best for you.